The Space On Main is pleased to announce it has received a $3,000 donation from Wells River Savings Bank to be paid in $1,000 payments over the next three years. 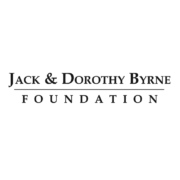 This donation will be used for buildout and construction of The Space On Main’s future home which serves to ensure prosperity of Bradford and the greater Cohase Region of Vermont and New Hampshire. The Space On Main is a 501(c)(3) nonprofit organization and relies upon the generous support of individuals, philanthropic organizations, and businesses such as Wells River Savings Bank to provide their services. It is the mission of The Space on Main to foster entrepreneurship, innovation, the arts, education, health, and recreation in order to increase opportunity for personal and collective growth in the Cohase Region of Vermont and New Hampshire by providing a creative facility with access to affordable equipment, work spaces, and classes. It is The Space On Main’s goal to ensure prosperity of our community by leveraging talent in the region by creating pathways to outside individuals, services, and technologies. 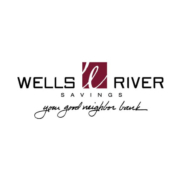 In 1988, Wells River Savings Bank opened its first branch office, in Bradford. It continued south, with a new office in Fairlee in 1999, Newbury in 2006, and East Thetford in 2008. It is proud of its mutual bank heritage. It is owned by its depositors, so its profits stay here to help build its communities. Its mission remains consistent with the vision of its founders in 1833 and 1892, to make its communities better places to live, work, and raise families. 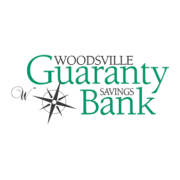 The Space On Main is pleased to announce it has received a $2,500 donation from Woodsville Guaranty Savings Bank. 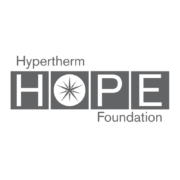 This donation will be used for buildout and construction of The Space On Main’s future home which serves to ensure prosperity of Bradford and the greater Cohase Region of Vermont and New Hampshire. 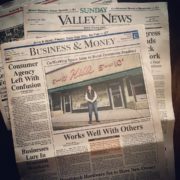 The Space On Main is a 501(c)(3) nonprofit organization and relies upon the generous support of individuals, philanthropic organizations, and businesses such as Woodsville Guaranty Savings Bank to provide their services. It is the mission of The Space on Main to foster entrepreneurship, innovation, the arts, education, health, and recreation in order to increase opportunity for personal and collective growth in the Cohase Region of Vermont and New Hampshire by providing a creative facility with access to affordable equipment, work spaces, and classes. It is The Space On Main’s goal to ensure prosperity of our community by leveraging talent in the region by creating pathways to outside individuals, services, and technologies. Odell Insurance Agency and Co-operative Insurance Companies award this community grant to The Space On Main to help cover the costs of converting a much loved space on Main Street in Bradford, Vermont that once held a “five and dime” store into a modern multipurpose community facility providing rooms of varying sizes and purposes designed to host coworking (office sharing), community networking events, hands-on Maker projects, conferences, meetings, training programs, social events, as well as educational classes for all demographics. 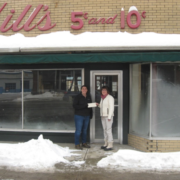 The Space On Main received a $500 gift from Odell Insurance Agency and is matched by Co-operative Insurance Companies. The Space on Main was one of 11 to receive a Community Grant from Co-operative Insurance Companies in 2018. 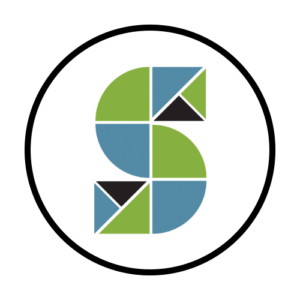 Founded in 2017, it is the mission of The Space on Main to foster entrepreneurship, innovation, the arts, education, health, and recreation in order to increase opportunity for personal and collective growth in the Cohase Region of Vermont and New Hampshire by providing a creative facility with access to affordable equipment, work spaces, and classes. Its goal is to ensure prosperity of our community by leveraging talent in the region by creating pathways to outside individuals, services, and technologies. Odell Insurance Agency has been serving the Cohase Region of VT and NH since 1977 by providing personal, farm and small business insurance with a hometown approach. They foster strong client relationships through one on one communication to understand each client’s risk, help determine their insurance needs and offer affordable insurance solutions. 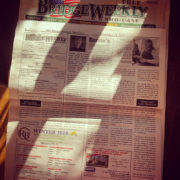 Huge thank you to Bernie Marvin and The Bridge Weekly for doing a write-up on the @spaceonmainvt! ???????? 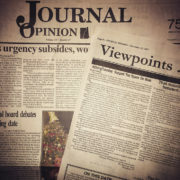 #GivingTuesday: Support The Space On Main appeal made it into Journal Opinion’s Letters to the Editor ???????? 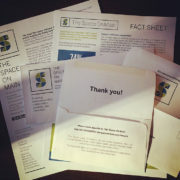 This is so exciting – our first appeal letter packet! The envelope process is a little too manual, but they’re pretty!